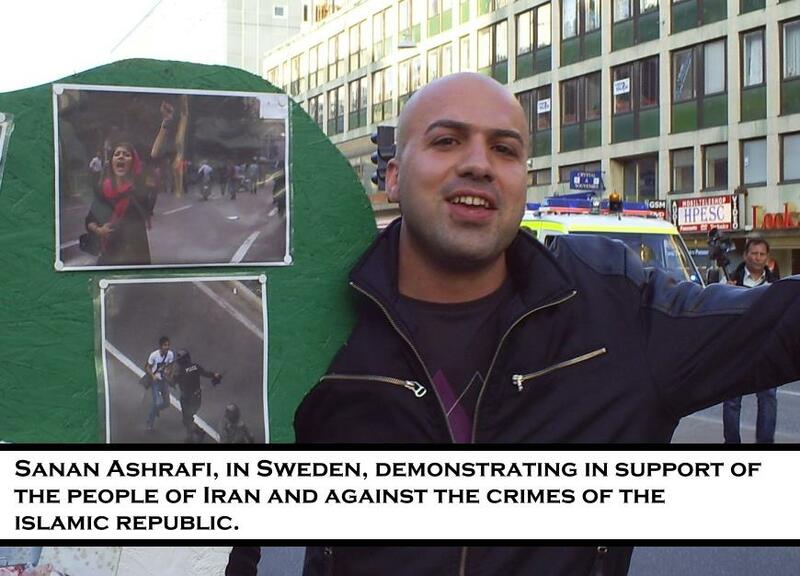 The Borderless Refugee Organization has announced that it will protest in defense of Sanan Ashrafi, an Iranian asylum-seeker that the Swedish government intends to illegally deport to execution in Iran. The International Coalition for the Rights of Iranian Refugees supports this call and urges all who have the possibility to attend this action in Stockholm to do so. We note that Mehdi Maleki, an Iranian refugee only recently saved from deportation himself, is playing a key role in organizing this action in support of Sanan Ashrafi. According to the program of the Swedish police, Sanan Ashrafi, an Iranian political asylum-seeker who has been in the Migration Office’s detention center in Stockholm for the past 40 days, is going to be deported to Iran on Friday July 1st. Numerous activities have been conducted against this decision by the Migration Office and the Swedish Police; these activities are ongoing. We call on all freedom-loving people and supporters of the right to asylum to join in this struggle. In this regard, on Tuesday, 28 June, we will hold a protest demonstration in defense of Sanan in Stockholm. طبق برنامه پلیس سوئد صنعان اشرفی پناهجوی سیاسی ایرانی که 40 روز است در بازداشتگاه اداره مهاجرت در استکهلم در بازداشت بسر می برد روز جمعه 1 ماه جولای یعنی 4 روز دیگر به ایران دیپورت خواهد شد. تلاش و اقدامات وسیعی علیه این تصمیم اداره مهاجرت و پلیس سوئد در جریان است. از همه انسانهای آزادیخواه و حق طلب و مدافعین حق پناهندگی می خواهیم به این تلاش بپیوندند. در همین رابطه روز سه شنبه 28 جون تظاهرات اعتراضی به دفاع از ساسان در استکهلم بر پا می شود برای نجات صنعان اشرفی و علیه سیاست اخراج به این اعتراض بپیوندید.